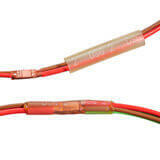 Insulating, sealing and protecting in-line and end splices in automotive wire harnesses and electronic assemblies. In automotive applications, DSG-Canusa products are used to seal over 500 million splices per year—the number one application in the automotive environment. As the manufacturer of DSG-Canusa products, Shawcor is one of the global leaders in this area due to our broad product line, application equipment and over 50 years of experience. 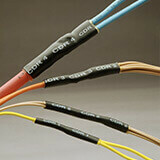 Our splice-sealing products are specifically designed to seal and protect electrical splices and components. These adhesive-lined, flame-retardant and halogen-free products meet automotive industry requirements for environmental sealing. The high shrink ratio of our products allows coverage of a wide range of multiple wire splices and component diameters, providing low-cost sealing solutions. Our easy-to-use, in-house-designed application equipment portfolio for splice-sealing products completes the system. Standard and custom sizes of SpliceMelt are frequently used to seal ring terminals and ground junctions. Its high shrink ratio, ample full-flowing adhesive, and OEM-approved status make it a natural for these tough applications. DERAY®–SpliceMelt Cap is a splice-sealing adhesive-lined endcap with a 4:1 shrink ratio specifically designed for varying end or stub splices and configurations and substrate profiles. The product seals and protects against water, moisture and chemicals. 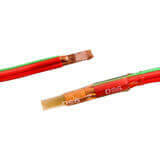 This semi-rigid, dual-wall heat shrink tubing is designed to seal and environmentally protect splices in the most demanding applications.